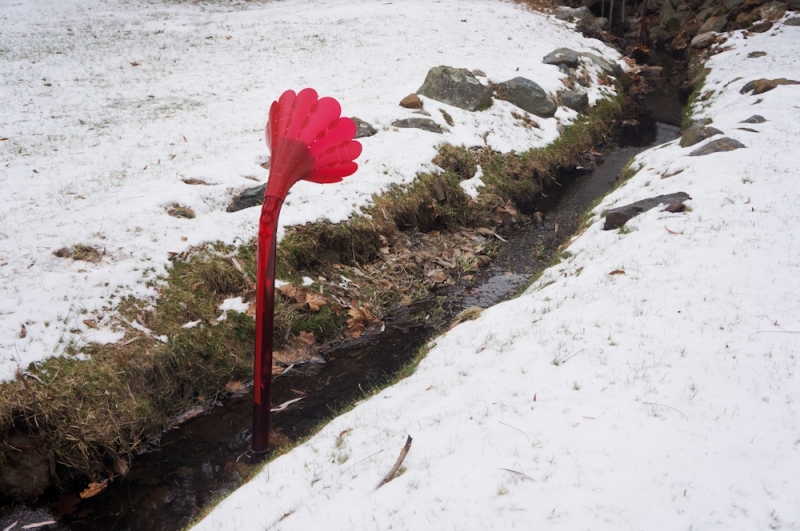 The Babbling Brook (work in progress, 2014 – present) is a large, red, networked flower sculpture that monitors water conditions in the body of water where it is placed, combines that data with current weather conditions, and proceeds to tell very bad jokes in a Text-to-Speech robot voice about that data. The Babbling Brook’s jokes also get published to a Twitter feed under the account @DaBabblingBrook. The Babbling Brook monitors water depth, conductivity and temperature from which one can infer much information about the water’s overall health. Additionally, the sculpture monitors aspects of the microclimate around the sculpture, including temperature, wind direction and speed and barometric pressure. The Babbling Brook has been designed for use with the Riffle, a low-cost, open source water monitoring toolkit developed out of the Public Laboratory for Technology and Science (I am an organizer of that project and participant in that open source environmental justice community as well). 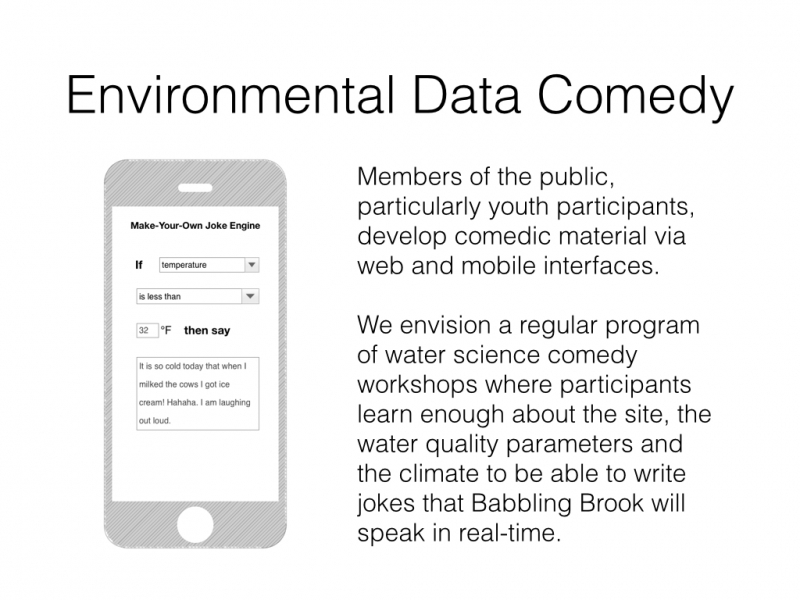 The mobile application, designed for use in water science & data literacy workshops, enables youth to craft jokes from environmental data. Youth write the comedic material for Babbling Brook after learning about different water parameters. This project is in development with collaborators Don Blair and James Coleman. We hope to install Babbling Brook at Tidmarsh Farms’ Living Observatory in 2016. We received funding from the DeFlorez Fund for Humor at MIT. 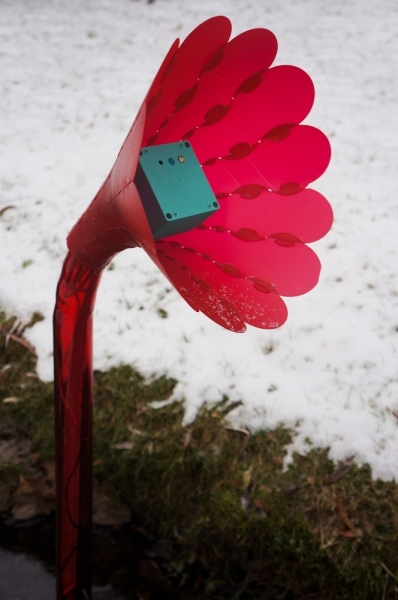 The project came out of a class called “Sensing Nature” taught by Joe Paradiso and Sheila Kennedy at the MIT Media Lab.